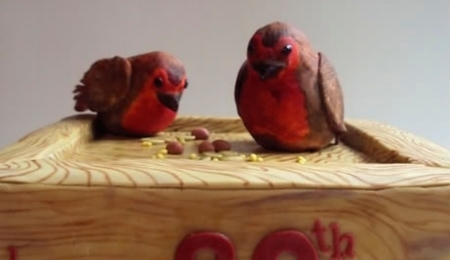 Cake for a 70th birthday. 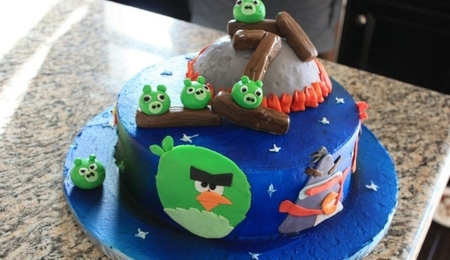 Cake was buttercream icing. 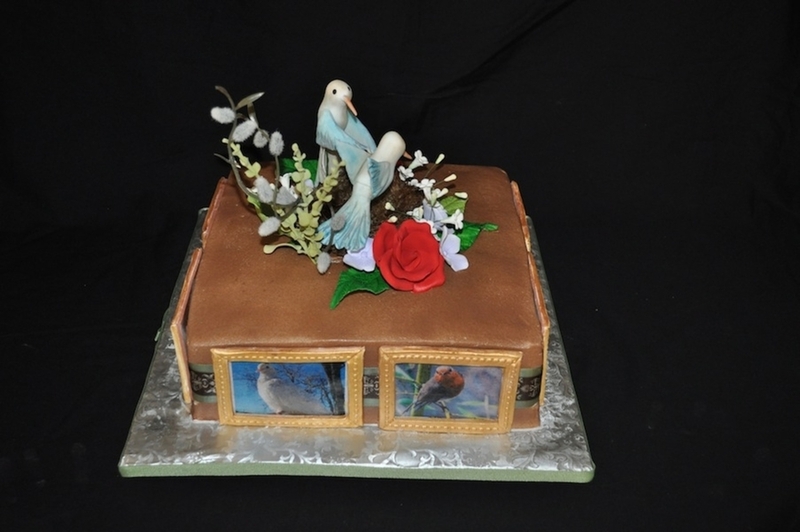 Satin ribbon on side with edible photo frames with client selected birds. 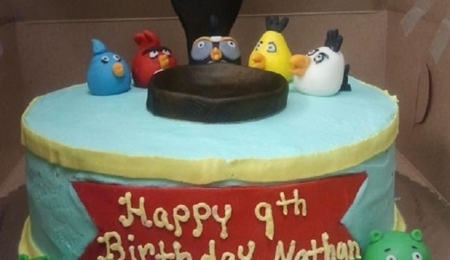 Birds represented her 7 kids. 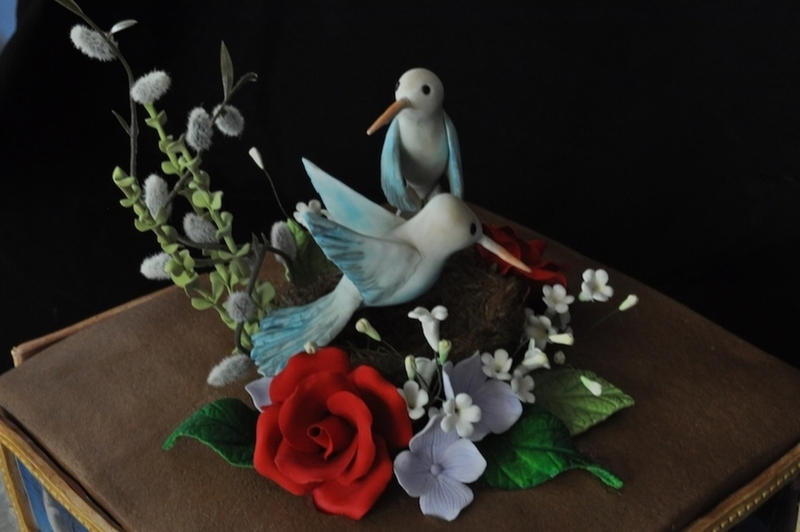 Gumpaste Hummingbirds on top with gumpaste flowers and leaves. Birds nest was made from Kataifi dough that was baked in shape and dusted with cinnamon.